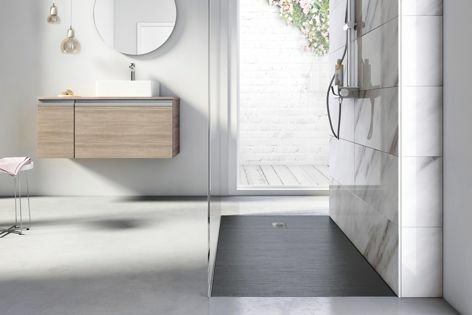 Stylish and minimalist, Roca’s Cyprus Stonex shower floor is available in four finishes and sizes, with customization options available. The Cyprus Stonex shower floor by Roca features a contemporary textured surface that has an organic and natural feel. Durable, functional and aesthetically pleasing, the Stonex material offers an alternative to polymarble or acrylic.